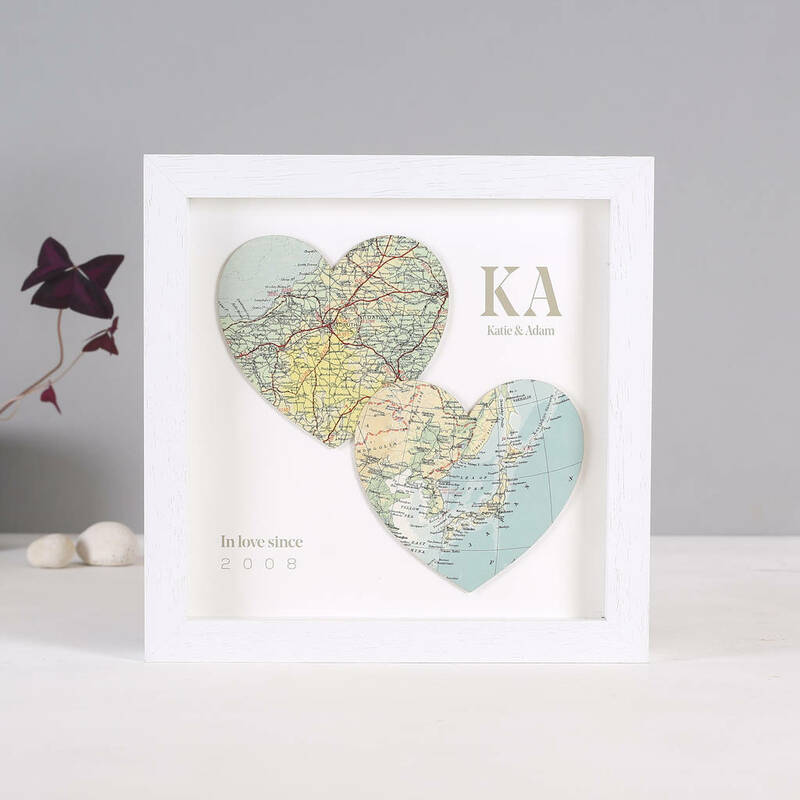 Personalised map romantic gift. Choose two treasured map locations of ANYWHERE in the world and personalise with couples initials and your 'in love since' date. 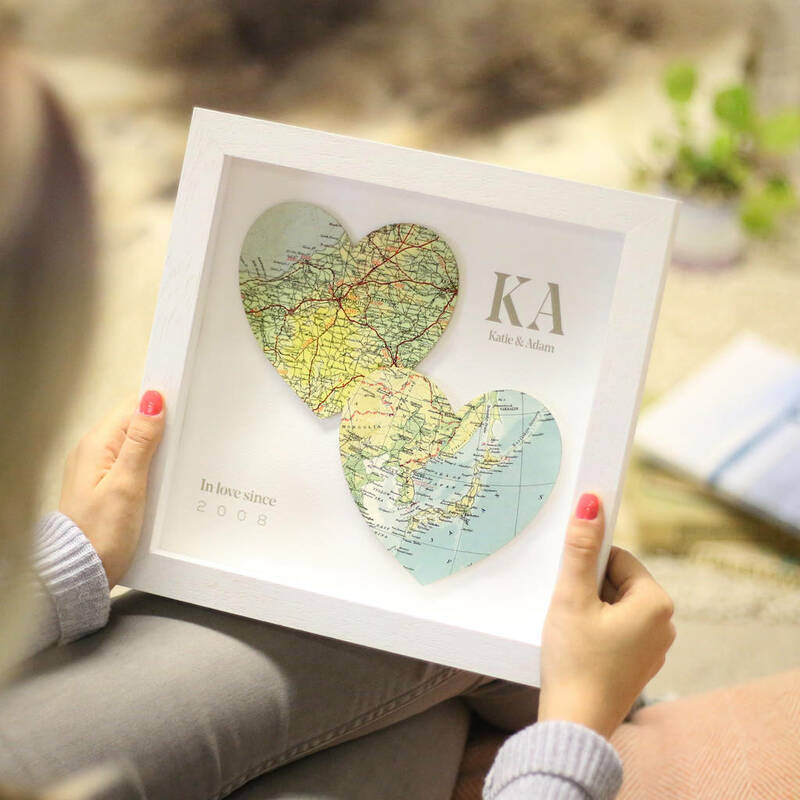 Simply choose two locations that hold special meaning by your loved one and we’ll source the vintage maps to create a unique, treasured map location artwork. Comes to you with solid wood frame. 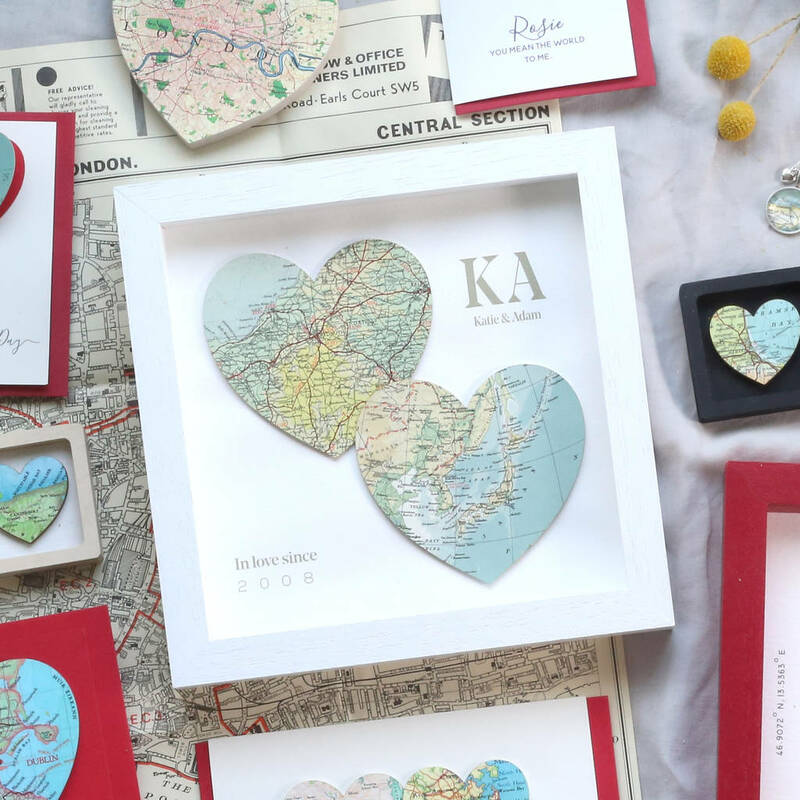 The hearts are cut from actual vintage maps. 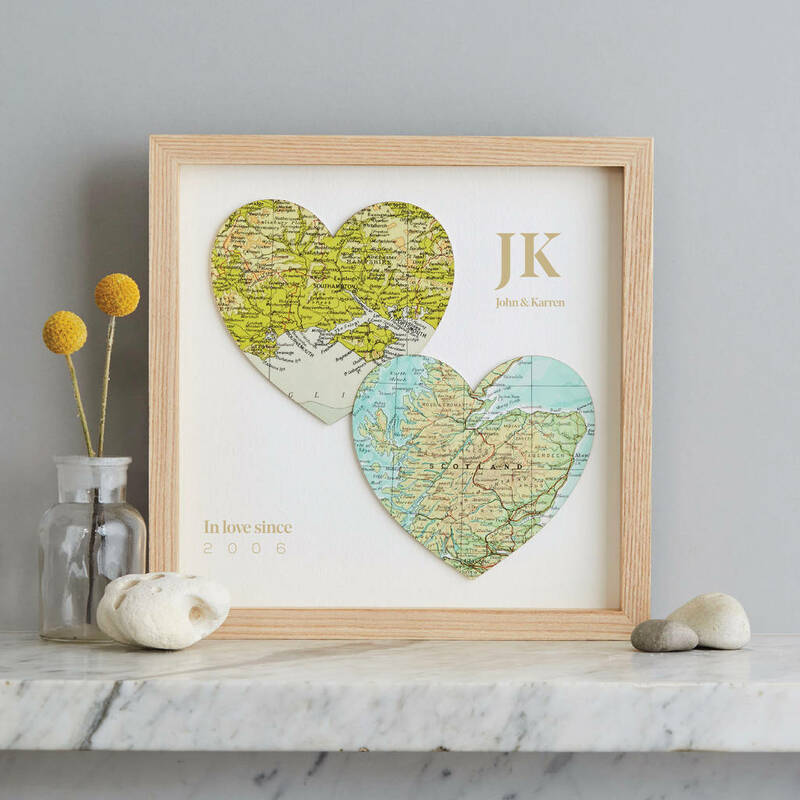 The frames are handmade in the UK from solid wood and UV perspex, which reduces fading and glare and also travels well.